Juan Ramon Jimenez. Jimenez, Juan Ramon, photograph. The Library of Congress. 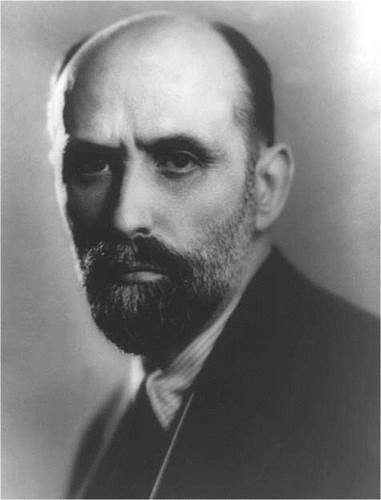 Juan Ramon Jimenez dominated Spanish poetry for the first three decades of the twentieth century. At the outbreak of the Spanish civil war in 1936 he was still a figure of influence and importance. Later, in exile in the United States and Puerto Rico, he expanded his already considerable influence, making the acquaintance of such esteemed fellow poets as Robert Frost and Ezra Pound. Early Privilege. Juan Ramon Jimenez Mantecon was born on December 24, 1881, to Victor Jimenez and Purificadon Manteccjn y Lopez Parejo. The Jimenez family operated a comfortable business as wine and tobacco merchants, with their own vineyards, ships, and warehouses, and a tobacco monopoly granted by the state. Such commerce enabled the young Juan Ramon to enjoy the upbringing of a typical Andalusian sehorito (well-to-do young man). Unhappy School Years. In October 1893, after finishing primary school in Huelva, Jimenez entered the Jesuit Colegio de San Luis Gonzaga in Puerto de Santa Maria. The young poet found school gloomy and disturbing and filled the margins and blank pages of his textbooks with drawings and scribbled sentences. He studied his favorite subject, French, and read influential works such as Kempis’s The Imitation of Christ, in which Jimenez underlined passages that confirmed a penchant for solitude. Artistic Aspirations. In 1896 the teenage Jimenez fell in love with Blanca Hermndez-Pinzon, the daughter of Moguer’s judge. But Blanca’s family, fearful of the impetuous youth who had a tyrannical temper and a penchant for playing with guns, discouraged the association. His father wanted him to be a lawyer, but the young Jimenez believed he had talent as an artist and wanted to be a painter. It was finally decided that he would begin the course of studies for prelaw at the University of Seville and at the same time take instruction in studio art. In autumn 1896 he enrolled in the university and began his art apprenticeship in the studio of Salvador Clemente, a genre painter from Cadiz. Jimenez showed himself an apt pupil in the impressionist style, with its blends of subdued blues, grays, whites, and greens. He continued to paint busily until 1900. Jimeinez once remarked that of the three great loves of his life—painting, poetry, and music—painting beckoned first when he was fifteen and then gave way a year or two later to poetry. His ambition to be a poet crystallized, and he immersed himself in lyrical verse. Early in 1897 the Programa, a Seville newspaper, accepted one of Jimenez’s poems, and, thus encouraged, he joined a literary group in Seville called the Ateneo and began to send more poems to provincial magazines and newspapers. Early Poetry and the Modern Movement. Soon he enjoyed a good reputation in the city and started work on a book of poetry to be called ‘‘Clouds.’’ The demands of poetry and painting left him no time for studies, and, upon failing Spanish history, he withdrew from the university at the end of the spring term to devote himself full-time, with the blessing of an indulgent family, to painting and writing. He collaborated on the reviews Hojas Sueltas and Quincena, and in 1899 Vida Nueva, a Madrid review, accepted his poem ‘‘The Beggar’s Lovers’’ for publication. Vida Nueva also sent him, on the basis of his apparent concern with social problems, five pieces by Norwegian Henrik Ibsen, already translated into Spanish, which Jimenez polished into poetic prose. Thus began a lifelong interest in the art of translation. Vida Nueva published his Ibsen translations in January 1900, and the stage was set for Jimeinez to go to Madrid. A postcard signed by poets Ruben Dario and Francisco Villaespesa was Jimenez’s invitation to come to Madrid and assist in the task of revitalizing Spanish poetry. Needing no urging, he arrived in Madrid on Good Friday of 1900, to be swept up into the bohemian life of the modernistas. Colorful Versions and Revisions. His companions pointed out that the large amount of material in ‘‘Clouds’’ could easily be divided into two books, and he set about to follow their advice. The bohemian life did not suit Jimeinez, and six weeks after his arrival in Madrid he was back in Moguer, busy separating and regrouping the poetry of ‘‘Clouds’’ into Violet Souls and Water Lilies. These, printed respectively in violet and green ink, were published in September 1900. Jimenez’s father intensely disliked the effusive poetry and destroyed every copy he could get his hands on. The critical reception was almost equally negative. Phobic Years. Jimenez had been back in Moguer six weeks when, on July 3, 1900, his father died suddenly. The shock caused him to develop an abnormal fear of death. He believed that he, too, would die suddenly like his father, and, in order to prevent this occurrence, he insisted on always being near a doctor, or knowing where one was immediately available. This compelling need ordered all living arrangements for the rest of his life. During the year following his father’s death, Jimenez’s symptoms of hypochondria mounted, and his family sent him to the sanatorium of Castel d’Andorte, near Bordeaux, to be placed under the care of Jean Gaston Lalanne, a noted authority on persecution complexes. The poet arrived at the sanatorium in the first part of May 1901. By the end of August he had left France and soon he settled down in Sanatorio del Rosario, a rest home in Madrid, where he formed a lasting friendship with the neurologist Luis Simarro. In 1902, his next work, Shadow Rhymes, appeared. The collection was an improvement over Jimenez’s first two books and met with critical success. For the next two years, Jimenez was happy; close to doctors and cared for by the sisters of the Sanatorio, he felt protected and cared for and was able to give full vent to his creative interests. Several fellow writers visited him, turning his rooms into a kind of literary salon, coming to talk literature and modernismo, the movement that had taken hold in Spain. They had also come to hatch the plans for a modernista review—to be called Helios, one of the most coherent and successful platforms for Spanish modernism. Helios (April 1903-May 1904) was carefully edited by Jimenez, who contributed translations as well as many unsigned pieces. In 1903 he also saw the publication of Sad Airs, which includes the poetry he wrote at the Sanatorio. Critics from Jose Ortega y Gasset to Dario praised it, and its success established Jimeinez as a poet of undeniable talent. The Institucion Libre de Ensenanza. Simarro, the neurologist Jimenez had met on the way to Bordeaux, began taking on boarders after the death of his wife in 1903. Jimenez delightedly signed on to stay with him. Through Simarro, Jimenez came to know the work of the Institution Libre de Ensenanza. Founded in 1876 by Francisco Giner de los Rios as a lay school at a time when all education was under the aegis of the Catholic Church, the Institution deeply affected the life of a liberal intellectual minority. Jimenez accompanied Simarro to its lectures and noted that they always came away with many new ideas. Through such contacts he gradually broadened his outlook and increased his intellectual concerns. In February 1904, Jimenez published Faraway Gardens, the last part of a trilogy that begins with Shadow Rhymes and includes Sad Airs. Productive Years of Personal Exile. When Simarro fell ill in the fall of 1905, Jimenez decided to return to Moguer. There he stayed for nearly seven years, living with his family in the semi-seclusion of their Andalusian village. Provincial exile in Moguer turned out to be, except for bouts of depression, incredibly productive for the poet. Jimenez wrote enough to fill several collections of poetry and one book of prose that were published beginning in 1908, and sufficient material remained to fill seven posthumous volumes. The work included Platero and I, which he began writing in 1906 and which was published in 1914. In 1911 the Banco de Espana impounded the vineyards of the financially struggling Jimenez family. Jimenez took this situation as a warning that he might need to earn money, and since there were more economic opportunities in Madrid than in Moguer, he returned to the Spanish capital. Given his innate liberalism and his contact with Simarro and the Institution in 1903, Jimenez found himself quickly attracted to an offshoot of the Institution—the Residencia de Estudiantes, a dormitory set up in 1910 along the lines of a university college at Oxford or Cambridge. By 1912 it had been enlarged by three new buildings and was well on its way to becoming an important intellectual center in Spain and, to a certain extent, a cultural haven in Europe during World War I. Jimeinez attended a lecture at the Residencia in the summer of 1913. In the audience was a twenty-six-year- old named Zenobia Camprubi Aymar. Jimenez fell in love at once, and a long courtship ensued. When Camprubi Aymar stipulated that their marriage take place in New York City, she unwittingly supplied the context for one of the most unusual books in modern Spanish poetry. Diary of a Newlywed Poet (1917) is a record in poetry of Jimenez’s feelings and thoughts about his journey from Cadiz to New York and his stay in the United States. Diary had considerable influence on the poetry written in Spain during the next decade. Move to America. Jimenez and his wife lived in Spain after their marriage, but they had often talked of returning to America. The outbreak of the Spanish civil war gave them the motive to do so, and in August 1936 they sailed from Cherbourg to New York. After several teaching stints and moves, the Jimenezes moved to Puerto Rico in 1951 and remained there until their deaths. The return to a Spanish-speaking environment influenced the poet in the last few active years of his life. He donated his papers and books to the University of Puerto Rico at Rio Piedras, taught a course on modernism there in 1953, and continued to write and publish poetry. Losing Camprubi Aymar. Camprubi Aymar, who had undergone an operation for cancer in 1951, worsened after a period of remission. She died on October 28, 1956, just three days after the Swedish Academy voted to award Jimenez the Nobel Prize in Literature. Jimenez became increasingly withdrawn and more or less ceased to write. He died on May 29, 1958. Bela Bartok (1881-1945): Hungarian pianist and composer who is recognized as one of the most significant musicians of the twentieth century and remembered for cofounding the field of ethnomusicology. Alexander Fleming (1881-1955): Scottish biologist who shared the Nobel Prize in Physiology/Medicine for his discovery of penicillin as an antibiotic. James Joyce (1882-1941): Irish expatriate author who is considered to be one of the most influential writers of the twentieth century. Helen Keller (1880-1968): American author and activist who was the first deaf-blind person to graduate from college and who led an involved life as a champion for women's and workers' rights. As I Lay Dying (1930), a novel by William Faulkner. This masterful novel features intertwining narration by various characters involved in transporting the body of Addie Bundren to her burial site. ''The Snows of Kilimanjaro" (1936), a short story by Ernest Hemingway. A writer and adventurer lies dying of a gangrenous leg wound while bickering with his girlfriend and pondering the past in this classic Hemingway tale. Enduring Life and Literary Influences. Early in his life, Jimenez had come across the verses of Ruben Dario, the influential poet from Nicaragua who had managed to inject new life into Spanish language poetry at the turn of the century. Jimenez formed a lasting friendship with Dario. He saw Valle-Inclan often, met Azorin and the playwright Jacinto Benavente (who, like Jimenez, went on to win a Nobel Prize), and became good friends with Gregorio Martinez Sierra, a dramatist who was later an influence on him. Shadow Rhymes (1902) reflects the influences of these modernistas. Camprubi Aymar also had a large impact on the poet’s life. Bilingual in Spanish and English, she was a cultivated woman who further acquainted him with the world of Anglo-American poetry, which after 1916 replaced French verse as the chief influence on his work. The poet’s birthplace, Moguer, also inspired him: Platero and I (1914) is a series of vignettes of small-town life and rural scenes in and around Moguer. Jimenez’s Andalusian roots were, like William Butler Yeats’s Irishness, a source of inspiration and pride. Evolving Style. In the years 1913 to 1916, Jimenez was making a transition in his poetic style. The sentimental and mournful voice of his traditional sonnets began to give way to brief, compressed poems in the manner of Emily Dickinson, whom he read for the first time in 1916. At the same time, under the influence of Shakespeare’s sonnets, which he had undertaken to translate with his wife, he tackled a classical meter. Jimenez then developed what he came to call ‘‘poesia pura’’ (pure poetry), or ‘‘poesia desnuda’’ (naked poetry). The style hinted at in Summer attained full development in Diary and offered the most important contribution of short lines, free verse, suppression of anecdote, and recurring nouns charged with multiple meanings (rose, tree, woman). Death Obsessions. In works such as Eternities (1918), Jimenez explores traditional themes of the poet to poetry; of poetry to the world; and of love, memory, and death. One aspect of Jimenez’s abiding neurosis was his abnormal fear of death. In Violet Souls (1900) at times he leans dangerously toward an unhealthy attraction to a dead little body: ‘‘Elegiac,’’ for instance, focuses on the work of worms as they eat away the small white face and burrow into the heart once inflamed by passion. One of his greatest triumphs, however, was to broach the ultimate theme of death and, in spite of his pathological morbidity, present it in humanistic and noble terms. He believed that life could not be meaningfully lived without the persistent awareness of death. As he says in Poetry (1923), the cord that links one’s life to life in general should bind one to death. Platero and I (1914). Platero and I, Jimenez’s most universally acclaimed book, describes life in a small Andalusian town, as seen through the sensitive eyes of the poet/narrator and his inseparable companion, the woolly white donkey Platero. The book has been read with pleasure by schoolchildren, adults, and critics. Graciela P. Nemes, writing in 1961 essay, wrote that the book ‘‘enhance[s] the lesser people and the commonplace through an attitude toward nature and people, which speaks with the greatest tenderness that exists in the hearts of men. ’’ Michael P. Predmore, in a 1970 essay, calls it ‘‘one of the most famous prose poems in twentieth-century Spanish literature, and an ‘‘early masterpiece ’’ of the author. He continues, ‘‘It has always been popular, even and especially among its critics, who unite unanimously in praising the artistic qualities of the work. ’’ The book has reached, after Miguel de Cervantes s Don Quixote (1605, 1615), perhaps the widest audience of any work in Spanish literature. 1. Jimenez sometimes allowed his preoccupations, phobias, delusions, and apprehensions of a dual personality to enter into his poetry. Study one poem where you find this to be the case and discuss what important questions about identity are raised in his work. 2. In Spaniards of Three Worlds (1942), Jimenez offers a balance of sarcasm and lyricism. He does so in caricatures, or portrait poems. Try your hand at a portrait poem: Choose a person to write about, someone you know personally who inspires you, or someone from the media who inspires your sarcasm. Write a portrait poem by including physical characteristics of the person, special features, bits of dialogue, or actions of the person to show your readers the person s character. 3. In his ‘‘pure poetry, ’’ Jimenez aimed for a stark style by stripping anecdote and obvious sentiment from his lines, and by making instead a heavy use of symbols. Before researching further, consider one most important object in your life. Why did you choose this object or image? What did it make you think of? What feelings come from the object/image for you? What does your choice say about who you are? That is, how does your choice represent your personality? After deciding on your image, reconsider a Jimenez poem, paying close attention to one symbol. What do you think the item represents? Albornoz, Aurora de, ed. Juan Ramon Jimenez. Madrid: Taurus, 1980. Cardwell, Richard A. Juan R. Jimenez: The Modernist Apprenticeship, 1895-1900. Berlin: Colloquium, 1977. Nemes, Graciela Palau de. The Life and Work of Juan Ramon Jimenez. Madrid: Gredos, 1975. Fondadon Casa-Museo. Zenoba y Ramon Jimenez (in Spanish). Retrieved May 28, 2008, from http://www.fundacion-jrj.es. Last updated on May 26, 2008. The Nobel Foundation. The Nobel Prize in Literature 1956: Juan Ramon Jimenez. Retrieved May 28, 2008, from http://nobelprize.org/nobel_prizes/literature/laureates/1956/index.html. Project Gutenberg. Jimenez, Juan Ramon, 1881-1958. Retrieved May 28, 2008 from http://www.gutenberg.org/browse/authors/j#a3230.